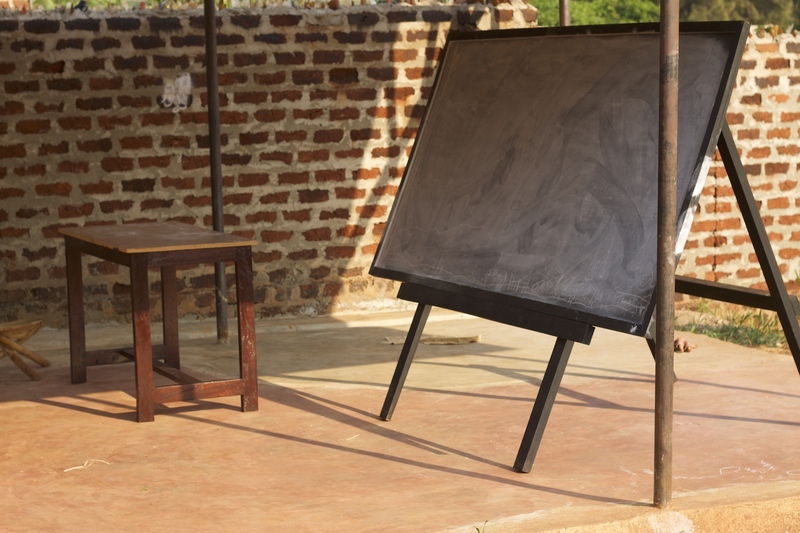 Working internationally in the NGO sector has many wonderful benefits; one of those major benefits is being able to connect with many of the inspiring NGO’s in the field and the selfless people that run them. In the last two weeks I have been able to witness pure magic and action be incorporated into so many lives across East Africa. I consider myself lucky and called to share the stories I absorb through these fantastic organizations. 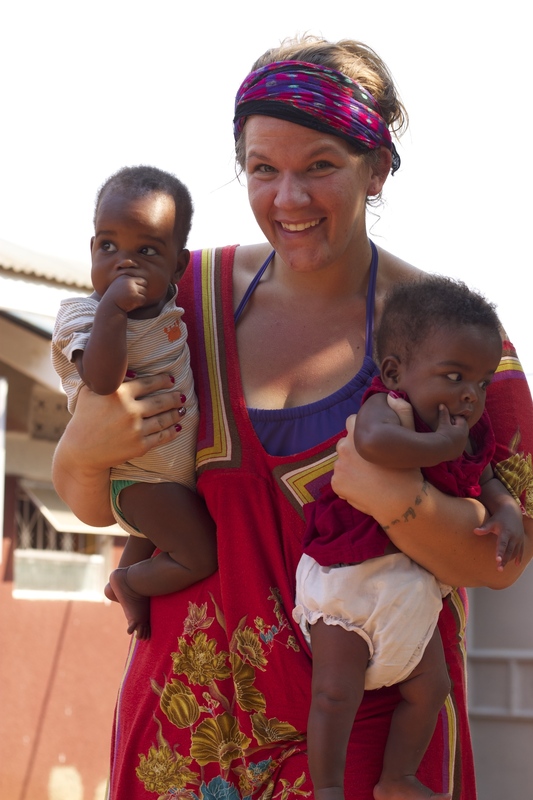 Through a common interest in Uganda, Kelsey Nielson, co-founder of Abide Family Center, and I connected over Instagram photos. “Great pic! Uganda is amazing.” “Let us know when you are in Uganda, we would love for you to visit!” “Hey! I am heading your way this week, can I visit Abide?” These are three examples of the comments we would leave on each others photos and by the amazing power of social media, we were able to connect and I was welcomed with open arms and a French Toast breakfast by the Abide family. 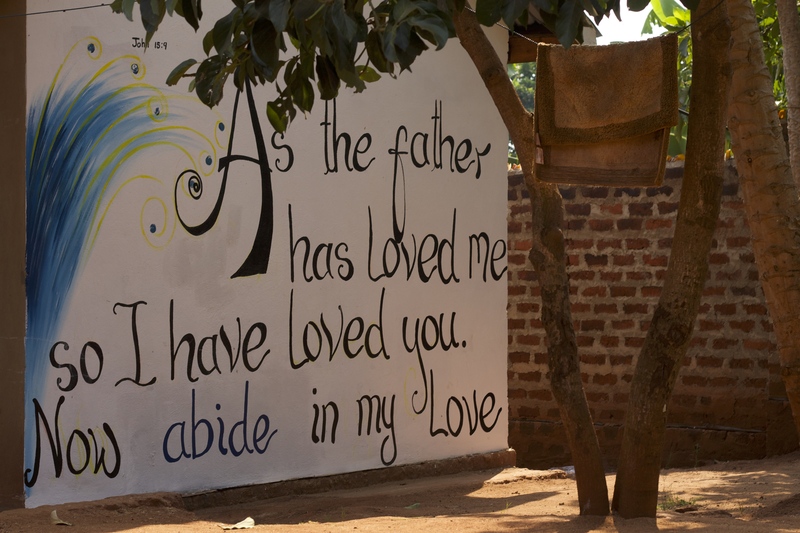 The Abide Family Center is a buzzing place located just outside of Jinja, Uganda on a beautiful compound. 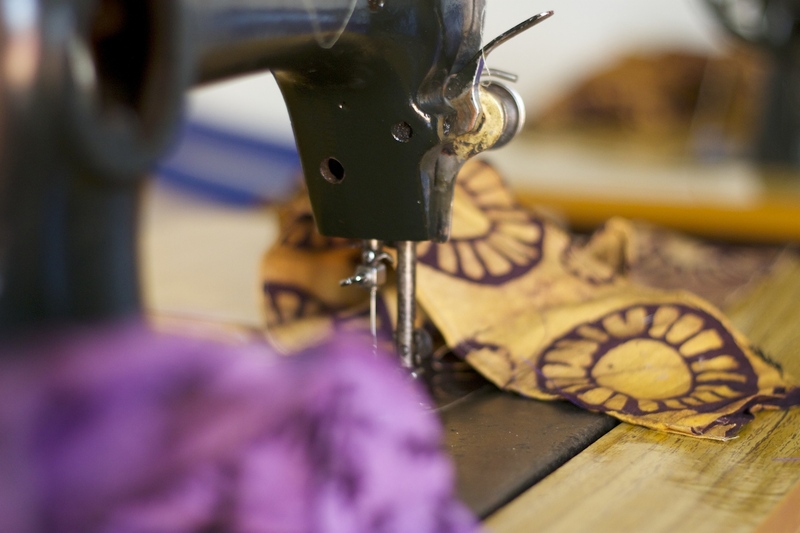 When I entered the gates my eyes were greeted by a business class in session under a gazebo, mentoring meetings for young mothers under a shade tree, kids playing in a sand box and women learning how to sew yoga bags in a program called “Stitched Together”. 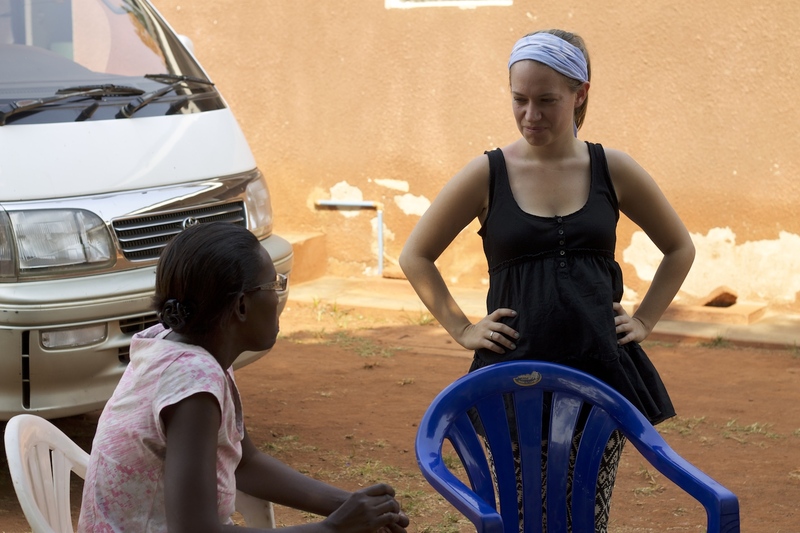 The co-founders of Abide Family Center, Kelsey Nielson and Megan Parker, met while volunteering at various orphanages throughout Jinja, Uganda and saw a huge gap in the system. They explained that there is a big problem in the orphanages in Uganda because children are growing up in institutions while they still have family members living close by. 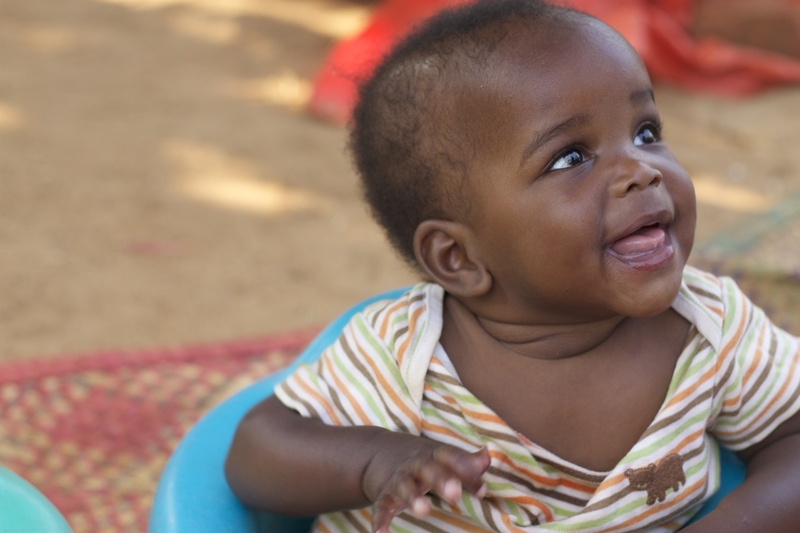 Various reasons for kids going into orphanages include poverty, job loss, young motherhood, lack of resources or a basic no desire to care by the parents. 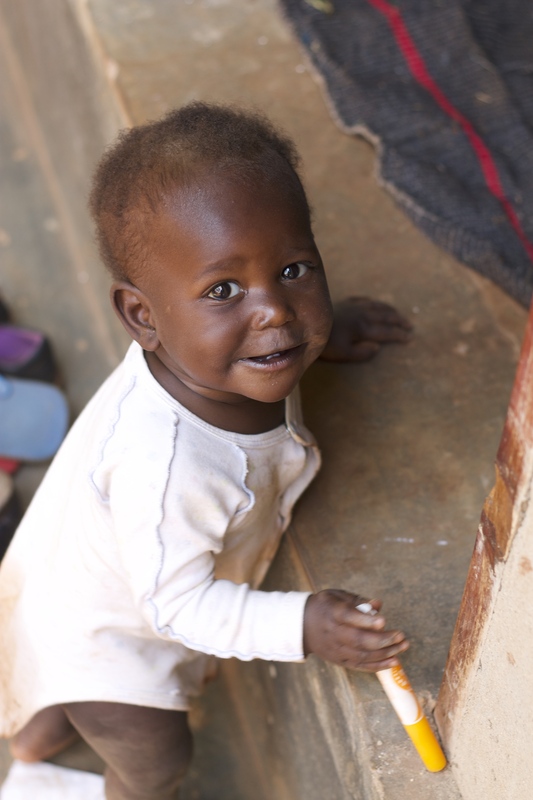 Orphanage life is never an optimal situation for anyone. 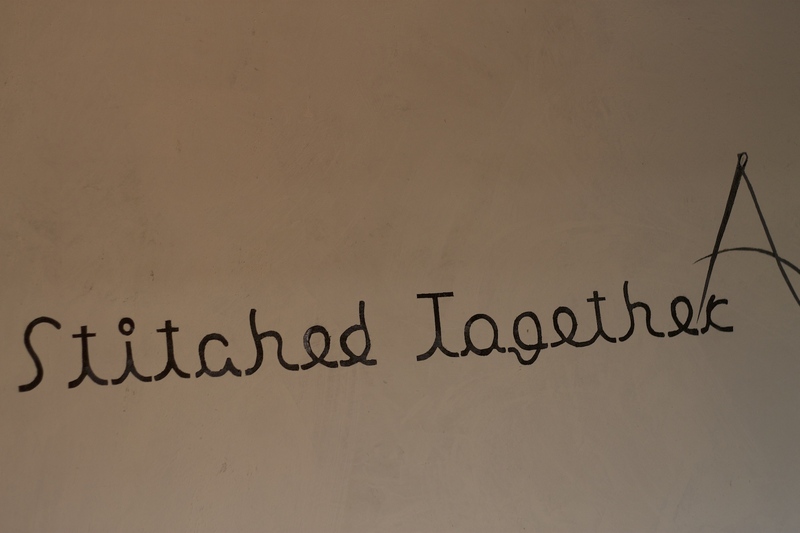 They knew that there had to be a way to lower the number of children in orphanages and re-connect them with their families. And with that gap in the system and opportunity for innovation, Abide Family Center was born. 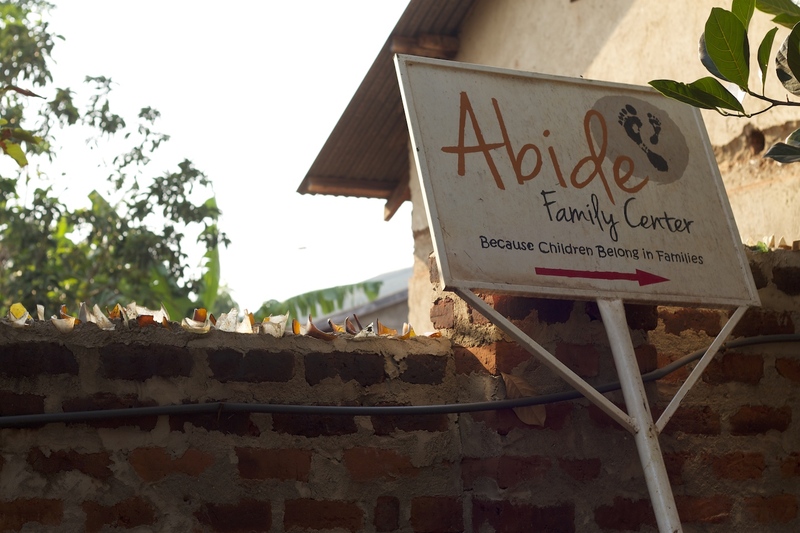 Abide Family Center exists to empower mothers and fathers, enrich children’s lives and provide tools to educate families to be self-sustaining. 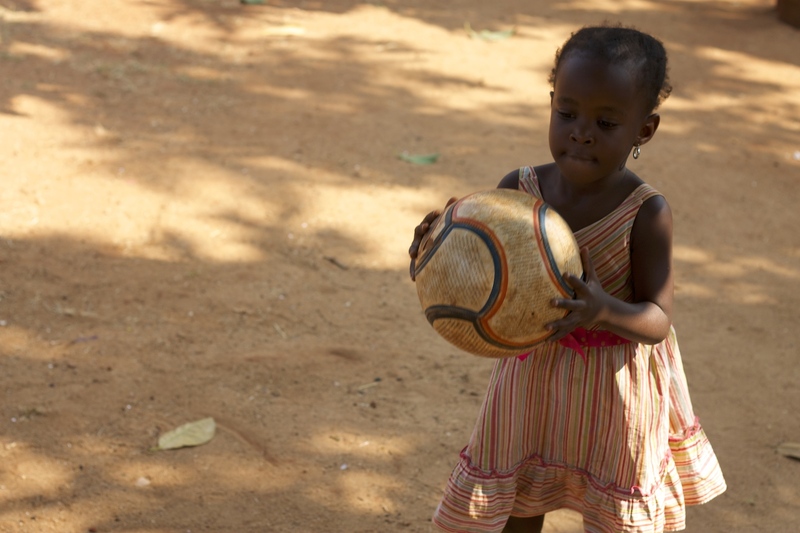 They receive referrals from the local government of families or abandoned children that need a helping hand. To those families or children, they offer top of the line mentorship, business courses on entrepreneurship to spark potential jobs for families, and professional case workers to assess needs. Abide is also full of amazing caretakers who make sure the children are surrounded by positivity in a safe learning environment. 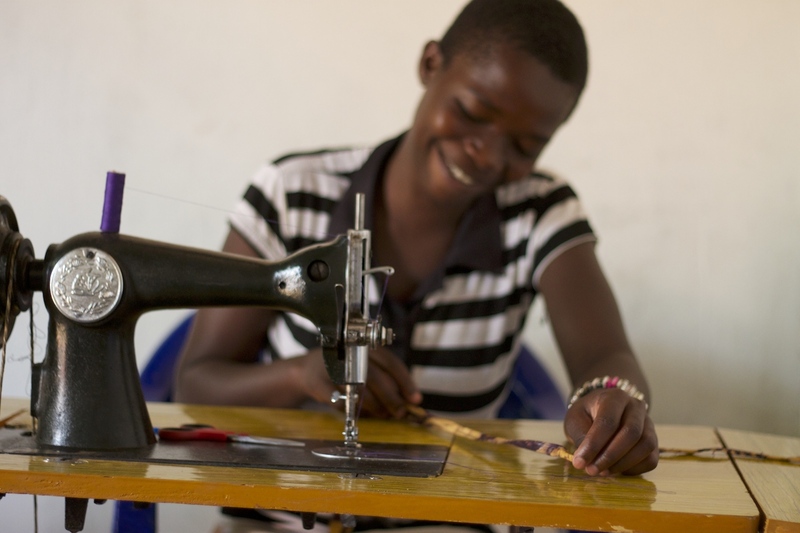 Throughout my time at Abide, I witnessed Ellen, a young teenage mother of triplets learn how to sew yoga bags while being provided emergency 3-month housing on the compound. 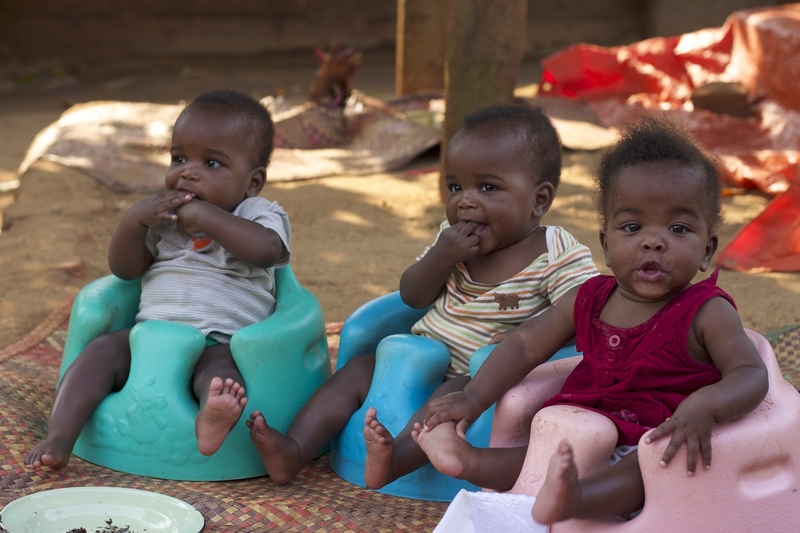 In the standard orphanage system, she would have had to resort to putting her triplets in orphanage care because she cannot afford simple necessities like formula, proper housing, or basic care, all because she lacks support. 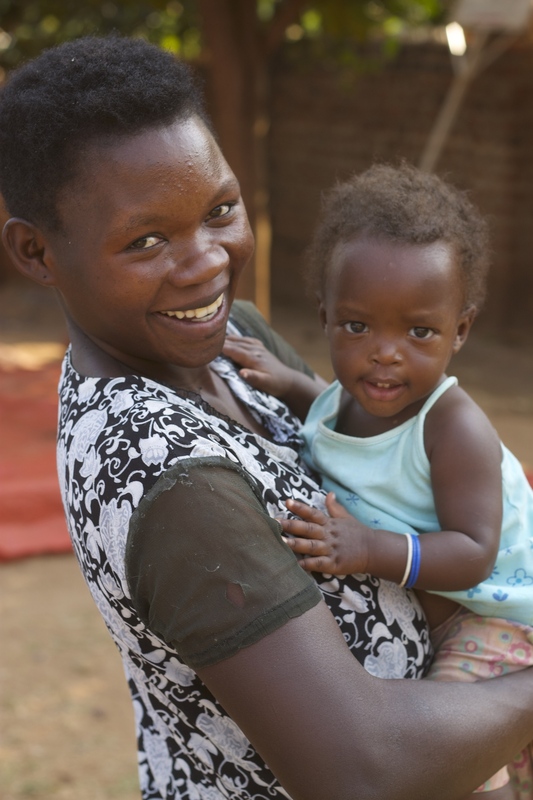 Since joining Abide, she is making large strides towards being able to be a great mother for her triplets and to provide a bright future for herself and her children. I was very impressed by Kelsey, Megan and the rest of the Abide Family Center team. It is a small, yet mighty crew working towards phenomenal goals and they have been making a large impact on the families of Uganda in the short 7 months they have been in operation. The most inspiring thing about Kelsey and Megan is that they are still in their early twenties. They finished their degrees in the USA and knew that if they did not put their dream into action now, they never would. They are living examples of people who are not scared to raise the bar, step out of their comfort zones and trust in God as they devote themselves to creating better lives for the marginalized people of the world. They both live on-site in a very primitive set-up, take cold showers and gamble on if they will have power or not each day. It is people like this who remind me that anything is possible, luxuries are not always determined by the amount of things you have, and that sharing your skills with people that most need them is essential to living a fulfilled, happy life. Thank you Abide Family Center for teaching me a little bit about love, empowerment, action and most of all, family. Feel free to check them out at abidefamilycenter.org and if you feel compelled to donate towards their cause, go to abidefamilycenter.org/donate0.aspx. Also, make sure to check out their newest video!